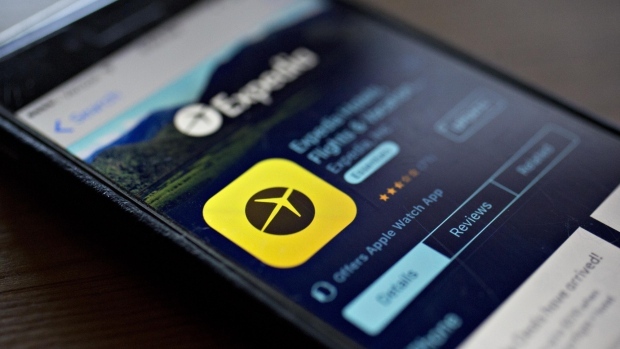 Expedia Group Inc.’s reported fourth-quarter earnings that beat analysts’ estimates, but growth in its home rental service, which has been fueling revenue, is beginning to fade. The Bellevue, Washington-based company reported profit excluding some costs of US$1.24 per share in the fourth quarter, beating analysts’ estimates of US$1.06. Revenue in the three months through Dec. 31 rose 10 per cent to US$2.56 billion, analysts had predicted revenue of US$2.54 billion. Analysts were looking for signs that Expedia’s results would justify a runaway share price so far this year. The stock is up almost 18 per cent from a low in early January and it closed Wednesday at the highest since November. The shares oscillated in extended trading and were down about 1 per cent after ending the day almost unchanged at US$127.87. Expedia is also taking steps to simplify the company’s complex ownership structure and boost its valuation. Last week, the company offered to acquire Liberty Expedia in a stock swap, streamlining Expedia’s super-voting structure that’s long been divided between two 77-year-old billionaire media moguls: John Malone and Barry Diller. The deal is still being discussed.